Alice Gae Denison Sperry, 90, our beloved mother and grandmother passed away on August 3, 2018, surrounded by her family. She was born April 10, 1928, to Melvin and Lenore Gottfredson Denison in Ogden, Utah. She grew up in Manti, Utah with one brother and four sisters. She graduated from Manti High School and later attended Snow College. Gae met Arvel Duane Sperry while working in Salt Lake City, Utah, and they were married in the Manti Temple on November 12, 1948, and lived in Nephi, Utah. She worked for First Security Bank, Thermoid Rubber Plant, Juab School District, and Juab County. She and Duane also operated a floral business in Nephi for a number of years. Gae was the wonderful mother of Nickie (Von) Andreasen, Sheryl (Michael) Andersen, Alan (Becky) Sperry, Dan (Alice) Sperry, and Tony (Meridee) Sperry. She enjoyed supporting her children and grandchildren in all of their many school and church activities. She also loved to knit, crochet, and sew and make beautiful gifts for her family which they will always cherish. Her doll collection was her pride and joy. She kept a journal and created photo albums for each member of her family. Her greatest passion in life was her family. 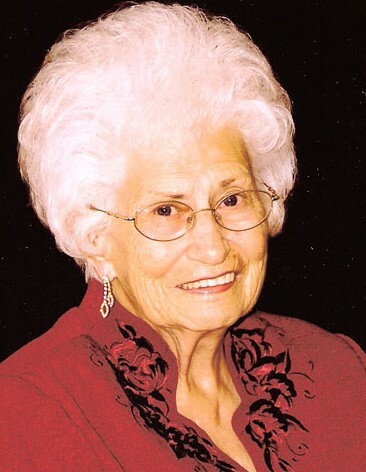 She was an active member of The Church of Jesus Christ of Latter-day Saints and faithfully fulfilled many teaching callings and served as Young Women’s President. Her faith and love for our Savior taught us the importance of knowing Him and His Gospel. She loved doing family history and spent many hours gathering names, dates, and stories of her ancestors. Gae is survived by her children, 24 grandchildren, 50 great grandchildren, 2 great-great grandchildren, and her sister, Sharon Denison Christensen. She was preceded in death by her husband, Duane, three grandchildren, three sisters and one brother. The family extends their gratitude to Eudene Anderson, her wonderful staff, and the many friends Gae made while living at Red Cliffs Assisted Living. They would also like to thank Dr. Grant Rasmussen, Julieann Parkin, and staff of Central Valley Hospice as well as friends, neighbors, and members of the Nephi 1st Ward. Services will be held on Monday, August 6, 2018, at 11:00 a.m. at the Nephi 1st Ward Chapel, 222 South 100 East, Nephi, Utah. A viewing will be held Sunday, August 5, 2018, from 5:00 to 7:00 p.m. at the Anderson Funeral Home, 94 West 300 North, in Nephi, Utah, and Monday one hour prior to service. Interment will be at the Vine Bluff Cemetery.